What a star this bird has proven herself to be. 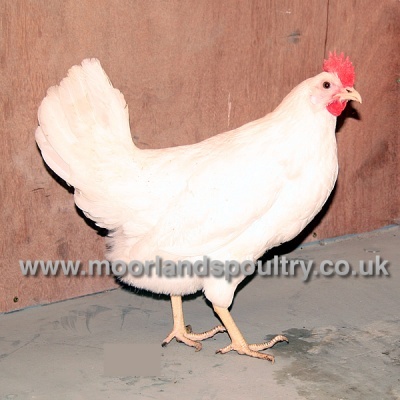 Often referred to as the "Little Ballerina", she is a beautiful white leghorn, laying 300-320 white eggs per year. She has certainly cornered the market for white eggs which are achieving premium prices in egg sales at the farmers markets. Well worth trying as something different.